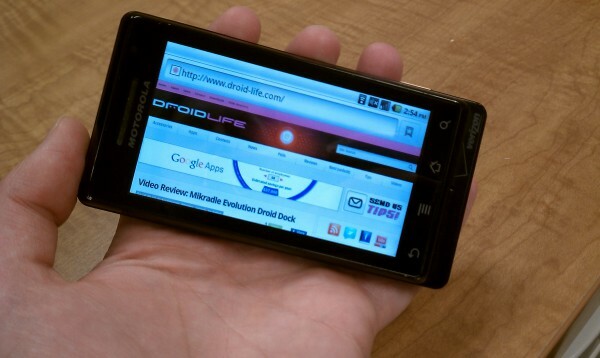 Even after 7 months of life in the Android world, the Motorola Droid is apparently doing just fine. Motorola CEO Sanjay Jha, told reporters today that their savior is still dominating the smartphone market even as they appear to be suffering from similar component shortages that have plagued the HTC Droid Incredible. He also announced that Motorola would have 2-4 new devices this year which would have front facing cameras like we’ve now seen on the EVO 4G and the new iPhone. Unless the Xtreme and Droid 2 undergo last minute face lifts which will include these cameras, it sounds like there might be 2 additional devices to watch out for come the holiday season. Very exciting. “(Droid) sales are going extremely well. If I could build more I’d sell more,” Jha said without discussing which components were in short supply. “Extremely well.” We’ll all be doing Xtreme-ly well when July gives us 2 new devices.